Bears (2014) on Netflix India. Check worldwide Netflix availability! If Bears isn't available in your country, or you are visiting a country where it isn't, there is still a way to watch it! 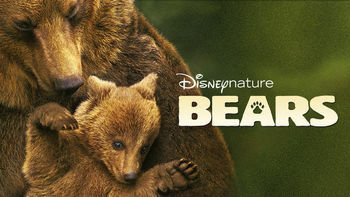 This captivating DisneyNature documentary follows two mother brown bears as they raise cubs amid the splendor of the Alaskan wilderness. Imagine your backyard was pure beauty! It is for two cubs. But dangers lurk here too. Luckily, mama got 'em covered.